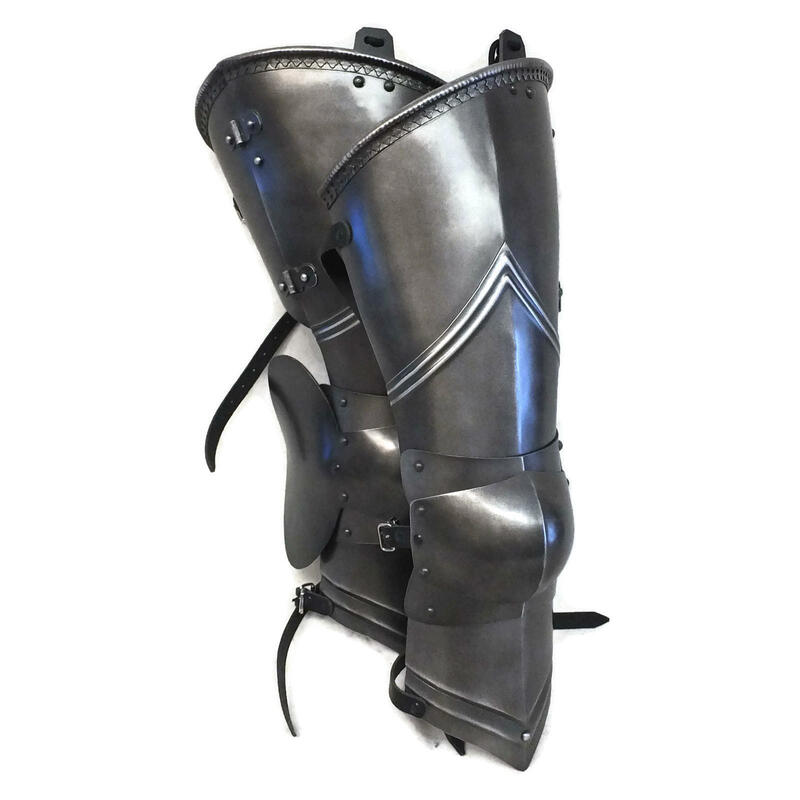 Pictured in 2-colour black and silver finish. 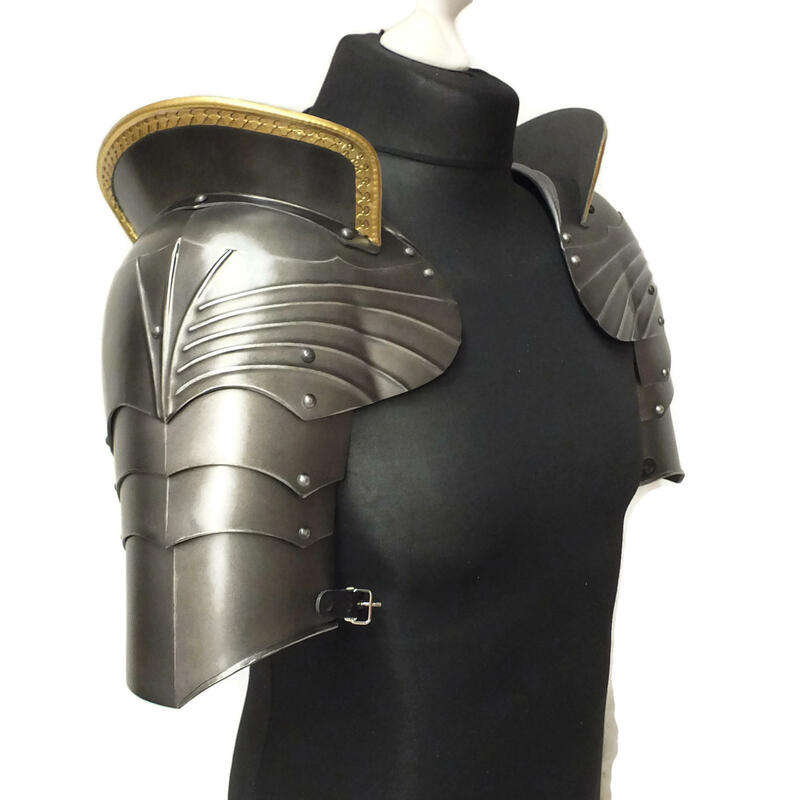 * Picture 4 shows black and gold finish. 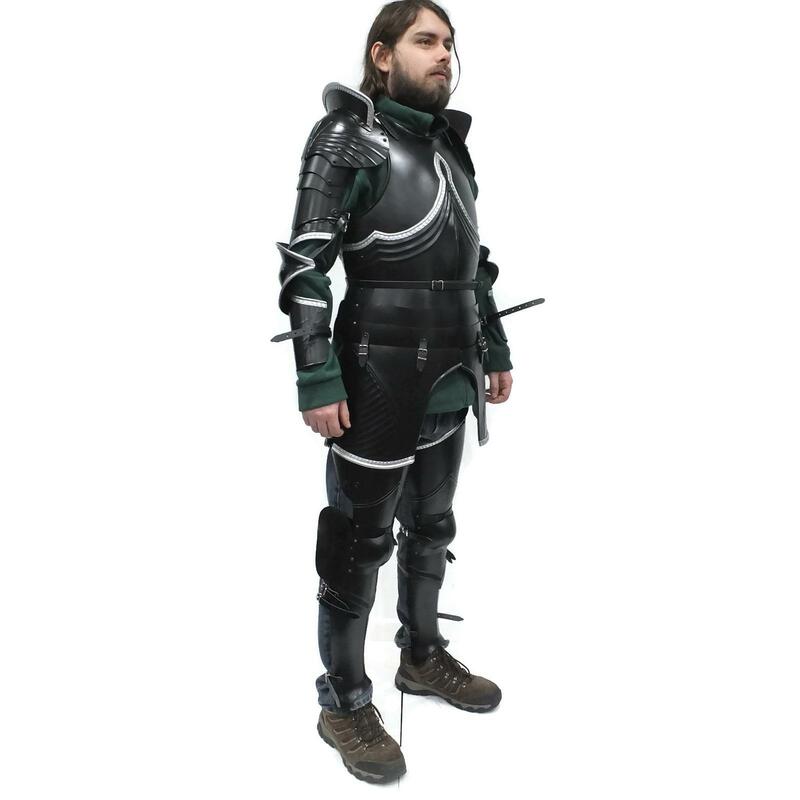 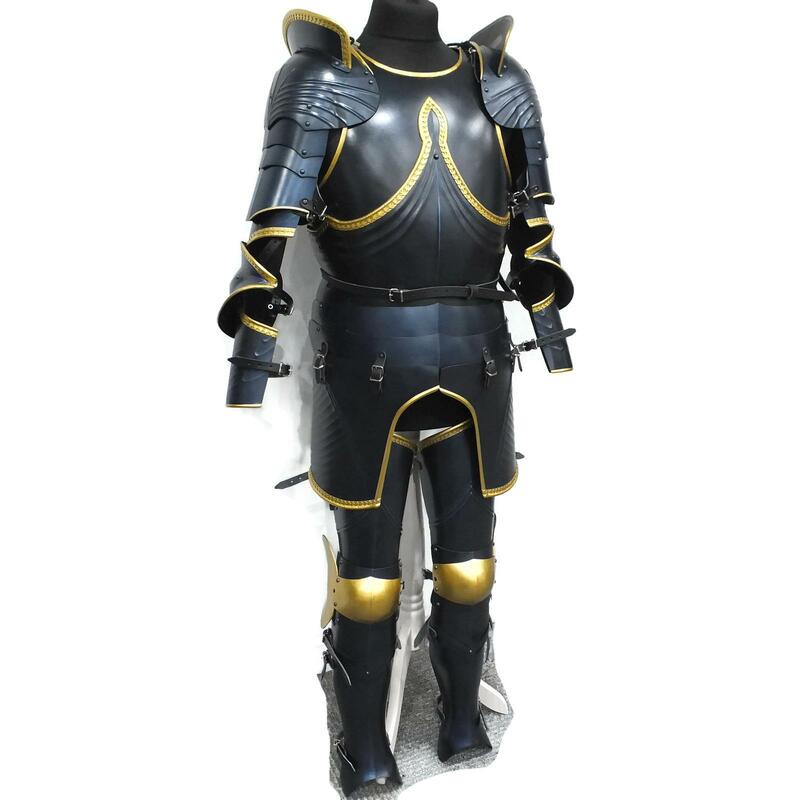 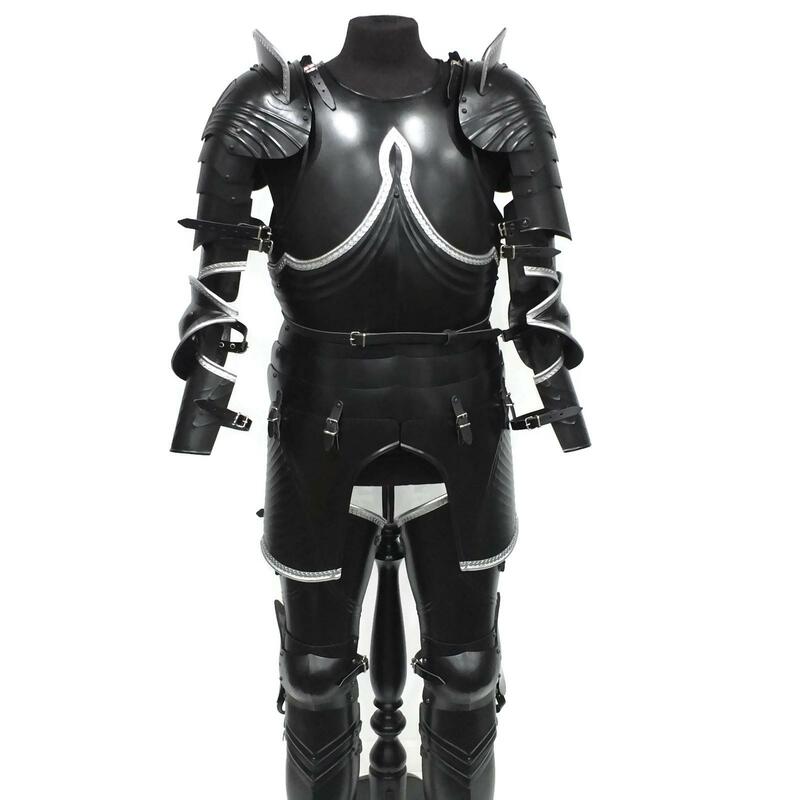 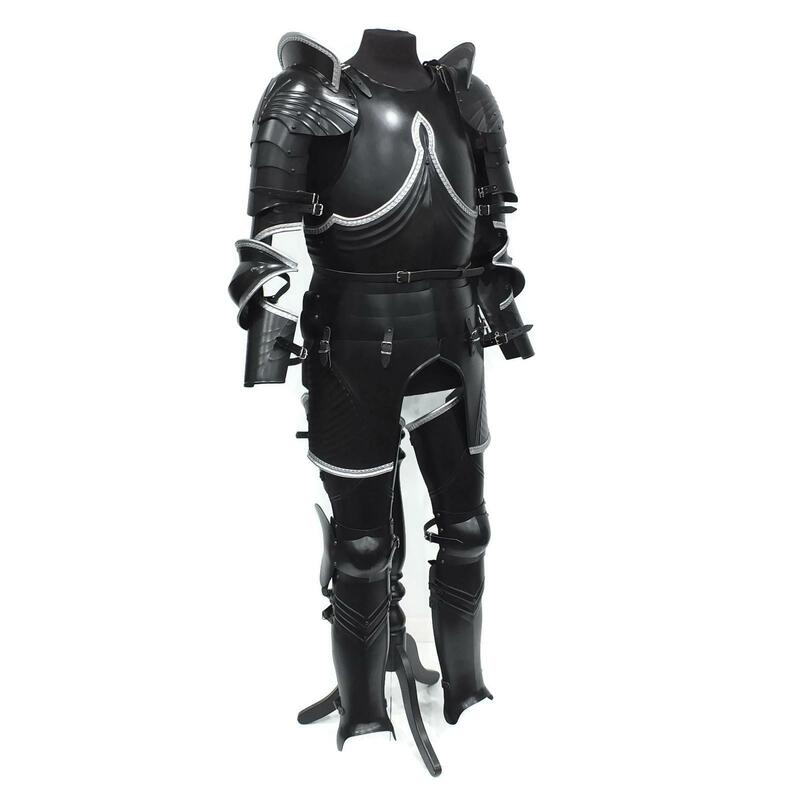 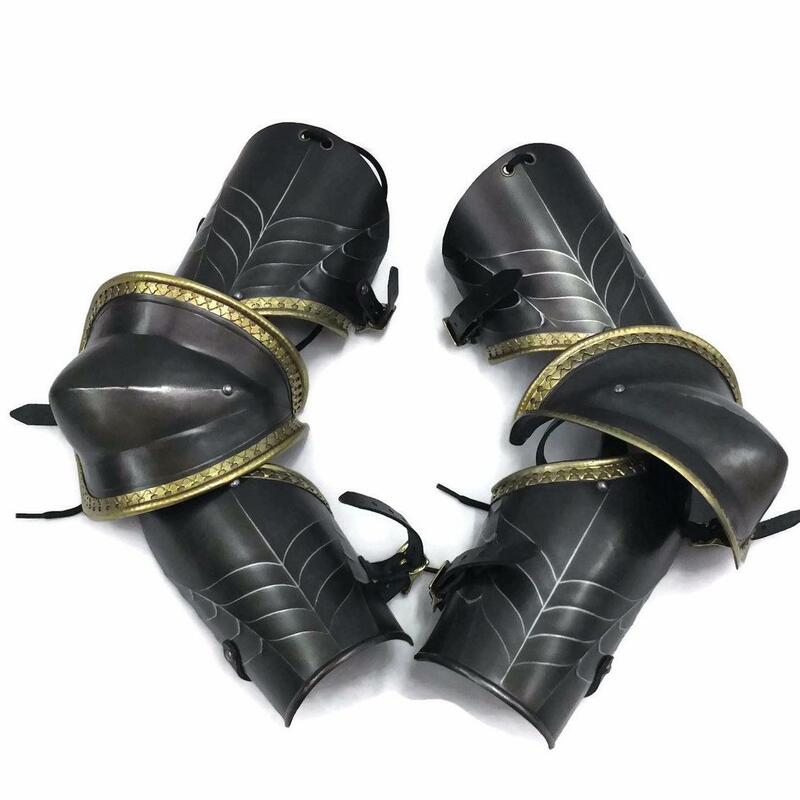 Our larp armor is lightweight, safe for any system and also great for use as cosplay armor. 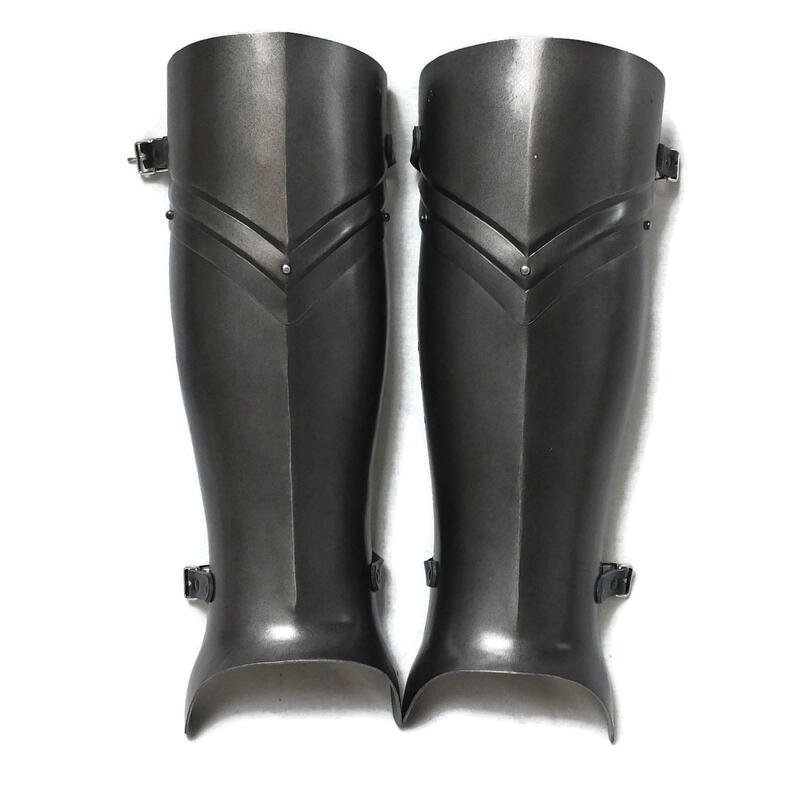 Sizes listed on product pages. 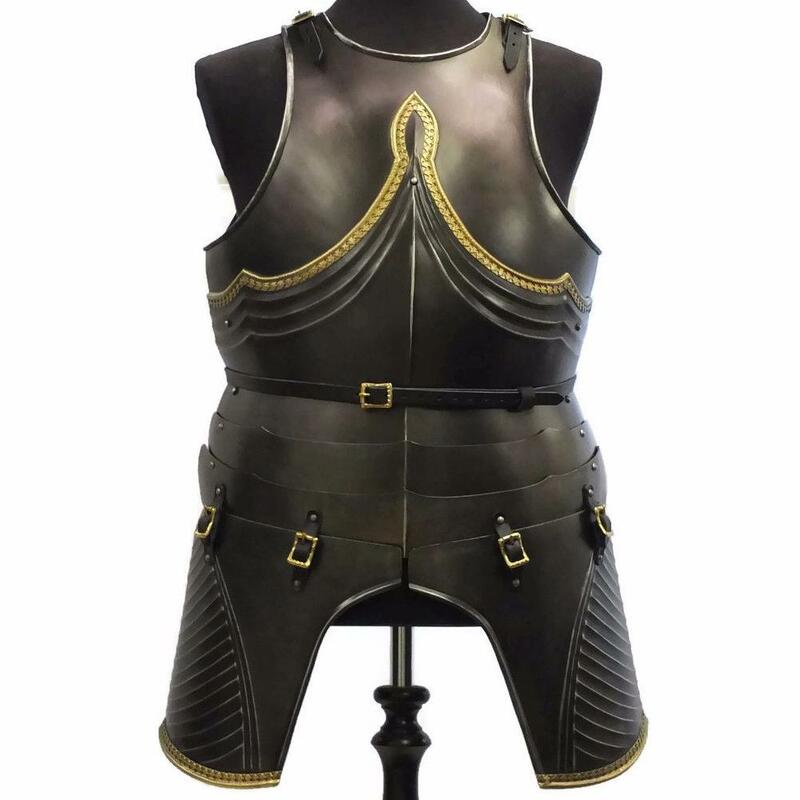 All pieces also available separately.